Although Western medicine has radically transformed our world for the better, and given rise to some of the most remarkable breakthroughs in human history, in some ways it is still scratching at the lower slopes of the bigger picture. Only recently have our health systems begun to embrace the healing power of some ancient Eastern traditions such as meditation, for example. But overall, nowhere across the human health spectrum is Western medicine more unknowledgeable than in the realm of mental health. The human brain is the most complex biological machine in the known Universe, and our understanding of its inner workings is made all the more challenging when we factor in the symbiotic relationship of the mind-body connection. When it comes to the wide range of diagnoses in the mental health spectrum, anxiety is the most common — affecting 40 million adults in the United States age 18 and older (18% of U.S. population). And although anxiety can manifest in extreme and sometimes crippling degrees of intensity, Western doctors are warming up to the understanding that a little bit of anxiety could be incredibly beneficial in the most unexpected ways.One research study out of Lakehead University discovered that people with anxiety scored higher on verbal intelligence tests. Another study conducted by the Interdisciplinary Center Herzliya in Israel found that people with anxiety were superior than other participants at maintaining laser-focus while overcoming a primary threat as they are being bombarded by numerous other smaller threats, thereby significantly increasing their chances of survival. The same research team also discovered that people with anxiety showed signs of “sentinel intelligence”, meaning they were able to detect real threats that were invisible to others (i.e. test participants with anxiety were able to detect the smell of smoke long before others in the group). Another research study from the SUNY Downstate Medical Center in New York involved participants with generalized anxiety disorder (GAD). 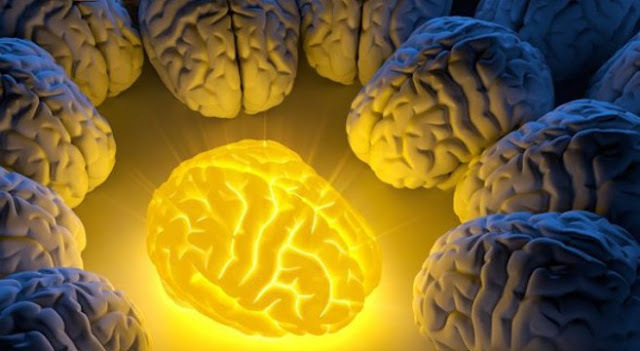 The findings revealed that people with severe cases of GAD had much higher IQ’s than those who had more mild cases. The theory is that “an anxious mind is a searching mind,” meaning children with GAD develop higher levels of cognitive ability and diligence because their minds are constantly examining ideas, information, and experiences from multiple angles simultaneously. But perhaps most fascinating of all is a research study published by the National Institutes of Health and the National Center for Biotechnology Information involving participants with social anxiety disorder (i.e. social phobia). The researchers embarked on their study with the following thesis: “Individuals with social phobia (SP) show sensitivity and attentiveness to other people’s states of mind. Although cognitive processes in SP have been extensively studied, these individuals’ social cognition characteristics have never been examined before. Empaths who have fully embraced their abilities are able to function on a purely intuition-based level. As Steve Jobs once said, “[Intuition] is more powerful than intellect,” and in keeping with this appreciation, writer Carolyn Gregoire recently penned a fascinating feature entitled “10 Things Highly Intuitive People Do Differently” and you can read it in full by visiting HuffingtonPost.com. And to learn why Western medicine may be misinterpreting mental illness at large, be sure to read the fascinating account of Malidoma Patrice Somé, Ph.D. — a shaman and a Western-trained doctor. “In the shamanic view, mental illness signals the birth of a healer, explains Malidoma Patrice Somé. Thus, mental disorders are spiritual emergencies, spiritual crises, and need to be regarded as such to aid the healer in being born.” You can read the full story by reading “What A Shaman Sees In A Mental Hospital”.